The coach of the opposing team at my son’s high school basketball game yesterday clearly tried to lead his team through fear and intimidation. His voice had one volume setting – LOUD! He wasn’t just speaking loud so that his players could hear him in the noisy gym. He yelled. He screamed. The entire game. He criticized his players for making mistakes and made sarcastic comments about their performance. He threatened them with time on the bench if they didn’t follow his instructions. I mentioned to some other parents that when a coach constantly yells and screams at his players, they eventually start to tune out, or even worse, become so afraid to make a mistake that they fail to give their best effort. That clearly was the case with this team. Even if you aren’t the stereotypical gruff, volatile, loud, in-your-face type of boss, you may be casting a shadow of fear over your team without even realizing it. Your positional authority alone is enough to create a certain amount of anxiety and stress in the hearts of your employees. Add in some common fear-inducing behaviors leaders often use like hoarding information, losing their temper, and not protecting the interests of their employees, and you’ve got the recipe for creating timid and fearful team members. Fear is the enemy of trust. In fact, if you have fear in a relationship, you can’t have trust. The two are polar opposites just like night and day, black and white, pain and pleasure, success and failure, or even Michigan and Ohio State (Go Blue!). 1. Be consistent in your behavior – Unpredictability breeds fear. If your employees can’t reasonably predict how you’ll react in a given situation, they’ll be afraid to step out and take risks. They’ll always be on edge, not knowing who’s going to show up at the office, the “good boss” that will support their efforts and have their back should they make a mistake, or the “bad boss” that will fly off the handle and punish them for their failure. 2. Treat mistakes as learning opportunities – High-trust cultures give employees confidence to set BHAG’s – big hairy audacious goals – and risk failure by not achieving them. Rather than penalize your employees when they make a mistake, use the opportunity to coach them on how to do better the next time around. 3. Explain the “why” – Let your team members know the “why” behind the questions you ask or the decisions you make. It will help them better understand your thought processes and motivations and create more buy-in to your leadership. Failure to explain the “why” leaves people wondering about why you do what you do and sows the seeds of doubt and fear. 4. 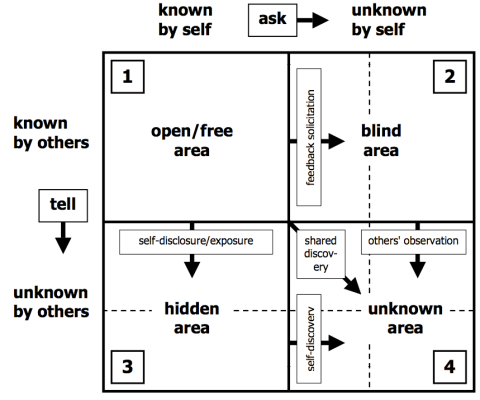 Share information about yourself – The Johari Window is a helpful model that illustrates how you can improve communication and build trust with others by disclosing information about yourself. By soliciting the feedback of others, you can learn more about yourself and how others perceive you. Check out one of my previous articles about how you can build trust by being more vulnerable with people. 5. Solicit and use feedback from others – Leaders who rule by fear generally don’t bother soliciting feedback or input from others when making decisions. It’s the boss’ way or the highway. 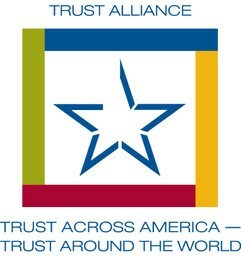 Trusted leaders seek input from others and look for ways to incorporate their ideas into the decisions that are made. 6. Be nice – Say “please”… “thank you”… “you’re welcome”… a little kindness goes a long way in building trust. Simply making the effort to be friendly and build a rapport with others signals to them that you care about them as individuals and not just as workers that show up to do a job. My son’s basketball team ended up winning the game quite convincingly, and in marked contrast to the other team’s coach, my son’s coach doesn’t lead by fear and intimidation. As a result, the players feel secure in the consistency of his leadership and perform without fear of how he’ll respond if they make a mistake. Give it a try with your team and watch the victories pile up. 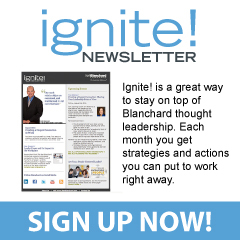 ← The Indelible Mark of a Trusted Leader – Do You Have It? What can I say except, “another great article Randy”. I’d love to work with you guys… OK, that’s rather random, I suppose everyone would. Thanks for the positive feedback Daryl. You’re too gracious. Keep up the good work! Are You a Scary Boss?